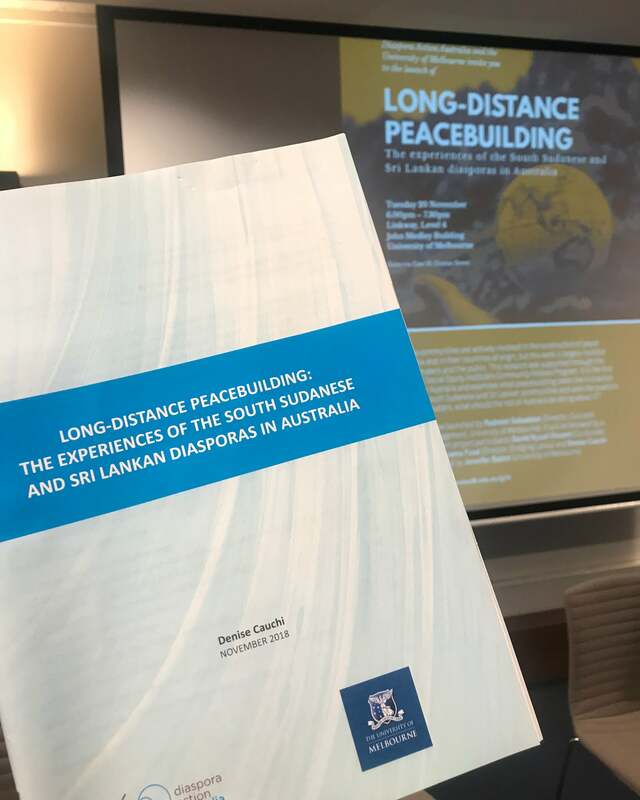 Long-distance Peacebuilding: The Experiences of the South Sudanese and Sri Lankan Diasporas in Australia was officially launched on Tuesday night at the University of Melbourne. 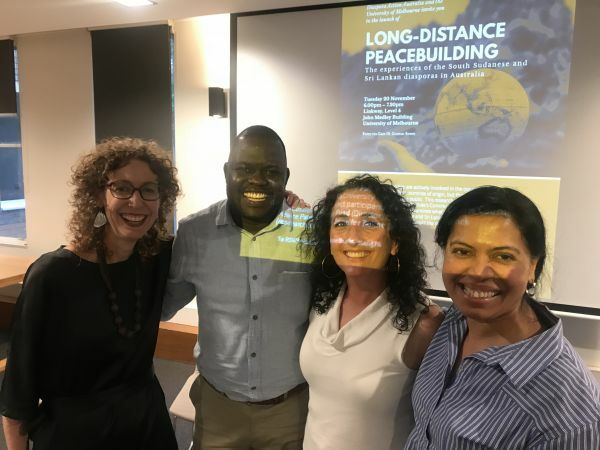 Diaspora communities are actively involved in the construction of peace in Australia and in their countries of origin, but this work is largely invisible to policy makers and the public. This research is the first of its kind in Australia. It examines what peacebuilding looks like in practice among the South Sudanese and Sri Lankan communities and asks the question “If this work matters, what should the rest of Australia be doing about it?”. The research was undertaken by Denise Cauchi as part of her Community Fellowship with the Melbourne Social Equity Institute. Ms Cauchi, the former Director of Diaspora Action Australia, joined the Community Fellows Program in 2017 under the mentorship of Associate Professor Jennifer Balint from the School of Social and Political Sciences. The report was officially launched by Padmini Sebastian, Director of Civic and Community Engagement at the University of Melbourne. It was followed by a discussion featuring project participants David Nyuol Vincent (Co-founder, Peace Palette) and Shyama Fuad (Director, Bridging Lanka).